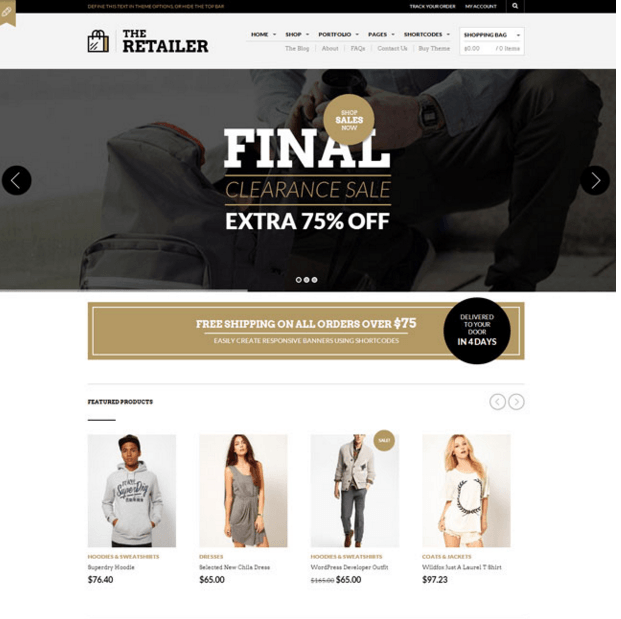 Baggies is a responsive WordPress theme built for Ecommerce websites. 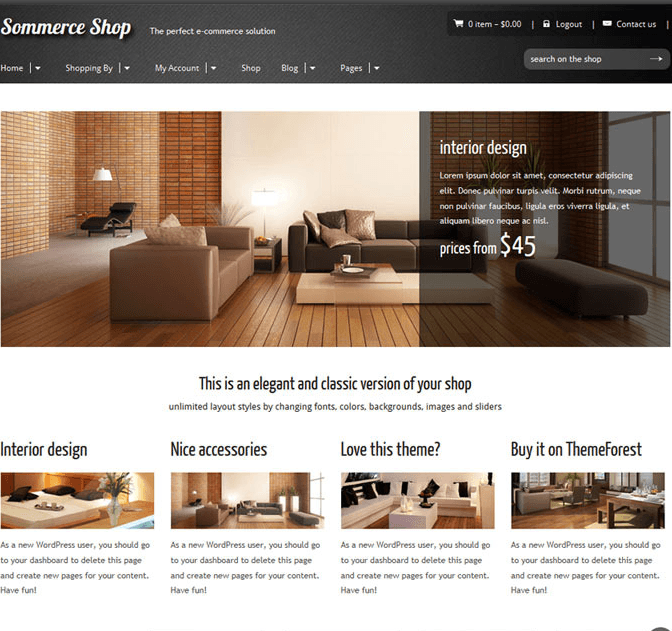 This theme is compatible with WooCommerce plugin which allows you to sell products with a secured payment gateway. It is a well documented theme that will guide you in building site with it, also it is responsive hence it can easily adapt devices ranging from desktops, laptops, tablets to mobile phones. On activating this theme you get theme options panel which has lot many powerful settings to choose and customize site with few clicks without any knowledge of programming. 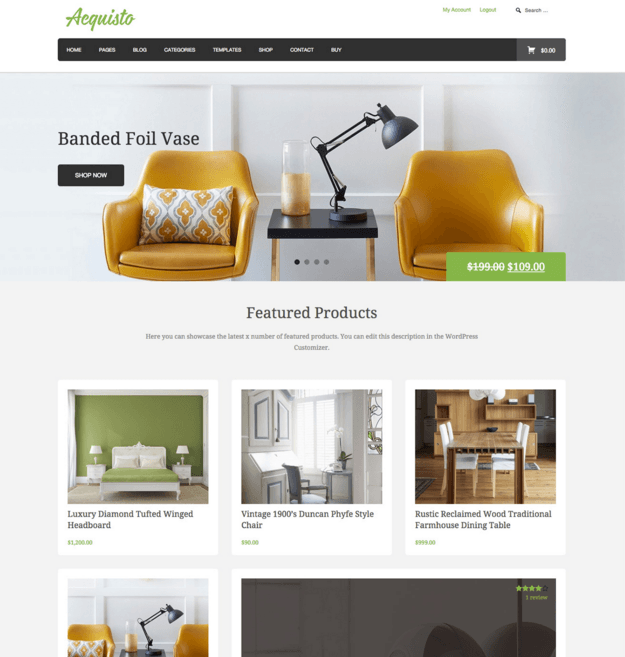 This theme is compatible with Dokan Multivendor plugin, WC Vendors and WooCommerce Product Vendor. It comes packed with 8 pre-defined homepages. 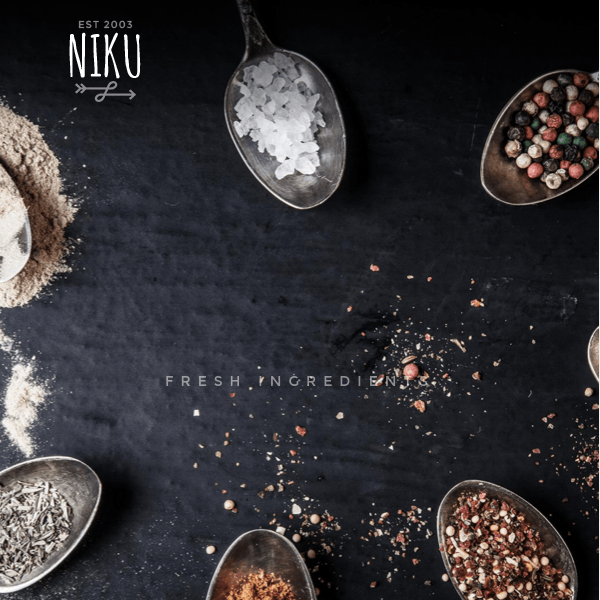 4 different portfolio page layouts. Included with Revolution slider, translation ready with WPML compatibility and supports RTL language. 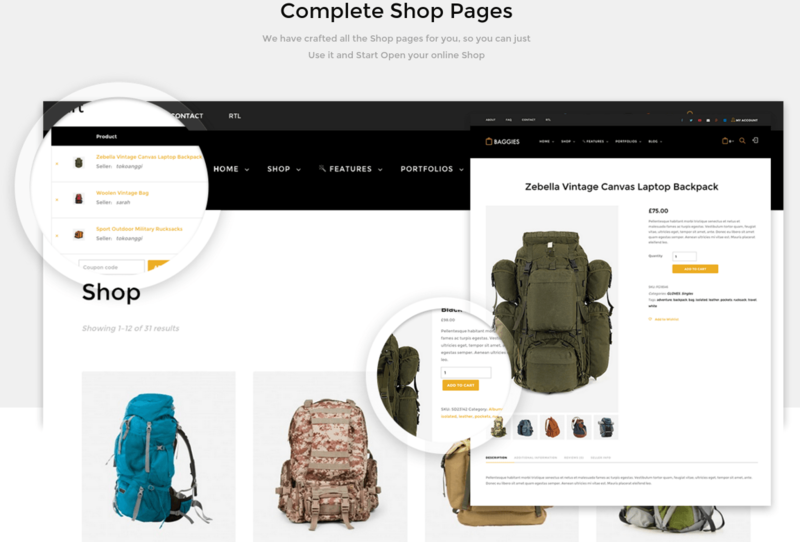 Shop page features: WooCommerce Element Customizer, supports YITH WooCommerce Wishlist, supports YITH WooCommerce Quick View. Supports 2 blog layouts, 18 custom widgets, built in pagination & breadcrumbs, unlimited sidebar, page templates- archives, Blank Page, blog classic, contact page, etc.